A great opportunity has arisen for a Vet to join a 1st opinion, RCVS Accredited Tier 2, Small Animal practice in Lancashire. We have a great opportunity for a Vet to join a busy practice in Blackpool. The ideal candidate will have previous experience, you will be supported by a fantastic team of vets and nurses who strive to give the best patient care. Competitive salary is on offer, plus a great rota. A great opportunity has arisen for an enthusiastic Veterinary Nurse to join a friendly practice in Lancashire. The role will require working with an experienced team of vets and nurses undertaking a whole range of nursing duties. The ideal candidate will be an excellent team player who will contribute to the smooth running of the practice. The position is full time on a rota basis. competitive salary on offer. We have a busy 4-site practice who are looking to expand their team of Nurses, and would like to find an experienced ANA/VCA who would like to train towards their Diploma in the future. Rota involves a 36 hour week, with some weekend and evening work to be expected. This is a super opportunity to take the next step in a busy and friendly practice, in a beautiful. area! 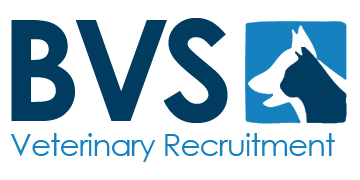 If you are interested in this position and would like to have a friendly chat about the role, in confidence, please feel free to contact Adam, any time, on 07748368159 or e-mail adam@bvsvets.co.uk. This is a brilliant opportunity for a talented and compassionate Vet with sound surgical experience to join a welcoming team in their small animal practice. The you will be working on average 33 hours per week with access to a fantastic range of equipment. This is a rewarding position where you will gain a handsome salary, CPD funding and company discount.  We are looking for a passionate RVN to join a lovely small animal practice on an ongoing basis. The practice offers a great range of equipment and a very welcoming team of Vets, Nurses and Reception staff. ​We are looking for an enthusiastic and talented Medical Vet to join an amazing team in their busy first opinion hospital. The hospital is well-equipped with blood gases, ventilator, endoscopy, digital radiography – offering a fantastic environment to develop in, and handle emergencies. The ideal candidate will be an experienced Vet with a particular interest in medical work, who is passionate and motivated. This is a permanent position where you will be working a 4 day week with 1 in 4 weekends and no on-call. You will be rewarded with a handsome salary alongside several other benefits. Not quite what you are looking for? We have a variety of Vet and Nurse opportunities across the UK and welcome you to get in touch! ​We are looking for a bright and talented VS to join a wonderful Merseyside team. You will be responsible for home visits and on call, alongside a variety of other roles including diagnosis, treatment, aftercare and fee estimation. The ideal candidate will have at least 2 years small animal experience alongside great communication skills. ​We are looking for an enthusiastic and talented VS to assist a variety of welcoming practices across Merseyside, these are St Helens, Heswall, Prescot, Orrell Park, Brodie, Alder, Garston, Anfield, Aigburth and Mossley Hill. Working across these practices will give you access to wonderful facilities that will allow you to develop your skills. We are looking for someone with at least 6 months small animal experience so this position is open to both recent graduates and more experienced Vets. Alternatively if this role is not quite what you are looking for but you would like to learn about our other roles you are welcome to get in touch! Work as part of an exiting and sociable team in an established first opinion practice. This is a permanent Small Animal RVN position to work on a flexible rota. There is also up to £500 CPD allowance. Alternatively, if this role does not quite suit your needs but you would like to hear more about the other roles we have available please to get in touch!